OPPOSITION PARTIES SUCH as Sinn Féin and the Social Democrats are calling for a rent freeze for up to three years. However, Taoiseach Leo Varadkar has rejected such a move stating that it could have unintended consequences. Setting out its stall for the new Dáil term, Sinn Féin said it is calling on cross-party support for a rent freeze for up to three years. 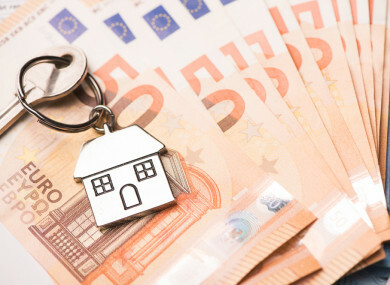 The party’s finance spokesperson Pearse Doherty also said renters should get tax relief on the rent they pay, stating that his party want to give renters one month’s rent back per year. This tax relief would only apply to those not being supported by the State, and would be capped depending on where a renter lives. Giving an example, he said someone renting in Dublin who is paying €2,000 in rent per month, will get that amount back once per year in the form of tax relief. If someone in Donegal is paying €600 per month on rent, that amount would be returned. Over that three-year period, Sinn Féin would roll out an investment programme to deliver social and affordable housing, doubling the amount of investment for 2019, said Doherty. Such measures are fully costed in this year’s budget proposals, he added. This is the kind of “ambitious and bold” plan that is needed, he said. While Sinn Féin are looking for a three-year rent freeze, the Social Democrats are calling for a nationwide freeze on rents at current levels to stem the flow of low-and-middle income earners into homelessness. The party’s co-leader Róisín Shortall accused the Fine Gael-led government of exacerbating the housing crisis and putting developers and private property rights ahead of the public good. With rents at record levels, the party are calling for a two-year freeze. Despite the calls for drastic action, Varadkar rejected the proposal to freeze rent, stating it would be too expensive. He told the Dáil that “tinkering around the edges” of the housing crisis could have unintended consequences and would not produce more houses, which is what is needed. The Taoiseach said he would consider the proposals Sinn Féin puts forward and look at how much such a move would cost. “Certainly, any meaningful tax relief for renters would be expensive and we would be interested to see how Sinn Féin proposes to fund it. However, none of these things will actually increase supply. Ultimately, there will be more people competing for the same number of units, and as our population rises we will need more supply,” he said. He added that “to every complex issue there is a reasonable and simple solution that doesn’t work and a rent freeze is probably one of those”. The calls for a rental freeze comes as a cross party motion on housing and homelessness supported by People Before Profit, Sinn Féin, Solidarity, the Social Democrats, the Green Party, Labour, Independents for Change and Independent members of the Oireachtas, is due to be launched today. The debate on the motion will take place on 3 October and will coincide with Raise the Roof: Homes for All rally outside the Dáil on the same day. Email “Opposition parties call for rent freeze, but Leo says it would be too expensive”. Feedback on “Opposition parties call for rent freeze, but Leo says it would be too expensive”.